L'Abeille D'or (no longer sure which bit is capital which is not) is offering its rebranding for the new year. Its old logo was certainly all over the place. There is the one with the bee (abeille means bee in French) which has two variations running cuncurrently (one on the website, one on the shops). Then there is the bit where only the L is capital which is used for neon signs. Which makes it three, current, concurrent and competing logos all at once. No wonder they wanted to change - or perhaps unify the logo. The new one tries to make the a and b of abeille into the wings and antennae of a bee, capitalizes the "D" (of d'or) and adds the "stripes" of the insect to complete the effect. Naturally we are a far cry from Douaihy's play on its letter "h" (a very exquisite take), or the invariability of the image of "Hallab 1881". Considering L'Abeille D'or is already an interesting competitor in terms of flavor, I am trying to figure out who it is selling itself to with the new logo and branding. To me this is all reminiscent of the old logo of Zaatar w Zeit, a bit childish and university-student friendly. 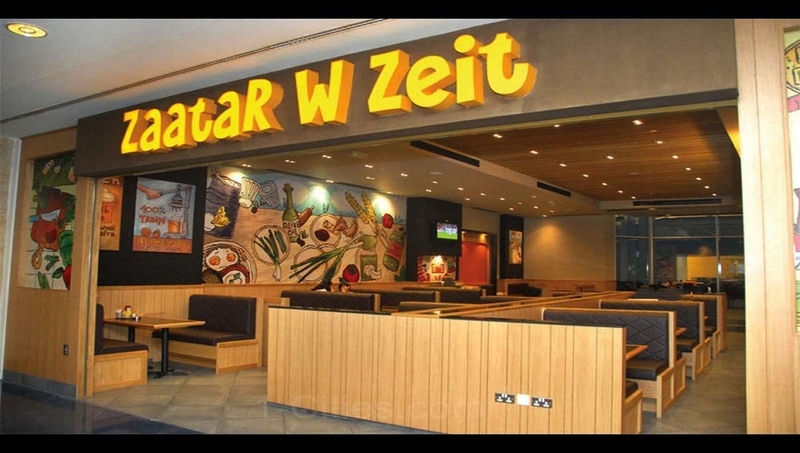 However, Zaatar w Zeit had to outgrow such antics to keep thriving when the former students graduated, had jobs and young families. My take? I think L'Abeille D'or missed the opportunity to simply and go with "l'abeille" (no capitals, no d'or) - legally I am not sure how feasible it is, but I think they can pull it off as a "subrand" as long as the original complex name is still registered. And honestly, I would have gone much less kiddish and imposed with some distinctive (yet not over the top) typography. Rebranding is an expensive, complex and difficult process - not just in terms of design but worse - in terms of execution. 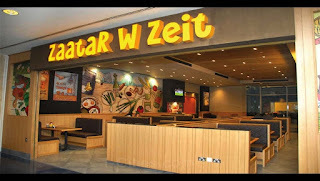 It took Zaatar w Zeit years upon years to end up rebranding all their shops (considering some were owned and others franchises), the new logo of L'Abeille D'or sat on a sponsored Christmas light only steps away from a neon light which advertised the old one (similar to the one seem above). I hope for their sake they will able to change everything - from outside lighting to napkins going through the million other items which still have the old logo (or as I pointed up above, a variation of it).